Sarawak’s national ranking in the state average grade (GPN) is expected to go up following a slight improvement in the performance of its candidates in the 2017 Sijil Pelajaran Malaysia (SPM) examination. State Education Department director Rakayah Madon said the state recorded a GPN of 5.17 in SPM 2017, an improvement of 0.17 over the 5.34 recorded the previous year. She noted that Sarawak was ranked 15th in both the UPSR and SPM examinations in 2016. However, she pointed out that the state was ranked 13th in the country after a slightly improved performance in the UPSR examination in 2017. “Since we managed to improve our ranking after a slight improvement in UPSR, there is a possibility that our ranking will improve after the slight improvement in SPM last year. 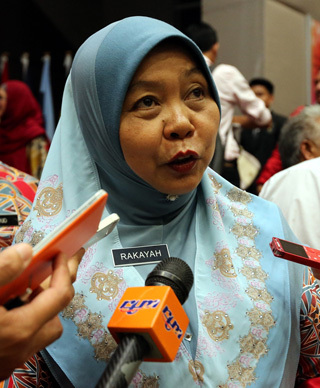 “There is no official statistics yet and hopefully we will also be ranked 13th in terms of SPM performance,” she told reporters after announcing the official SPM results for Sarawak here yesterday. It was reported that for the last three years, Sarawak ranked poorly in public examinations – 14th or 15th in UPSR and SPM. Rakayah said another factor that could influence the ranking is the percentage of candidates obtaining the SPM certificate. 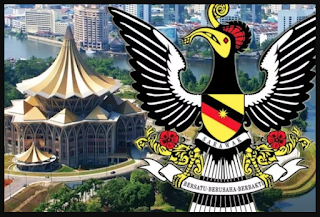 “The percentage of the candidates in Sarawak obtaining certificates by scoring at least a pass in Bahasa Melayu and History had also improved,” she said. She noted that a total of 28,108 or 83.21 per cent of the 33,778 candidates from Sekolah Menengah Kebangsaan who sat for the exam scored at least a pass in Bahasa Melayu and History. “Whereas in 2016, 83.02 per cent or 26,769 of the 32,245 candidates who sat for the examination managed to obtain their certificates by meeting a requirement of scoring at least a pass in the two subjects,” she added.